If you love your lawn, but hate the constant watering, then these five grass types are for you. There’s nothing quite like a lush, green grass lawn. Although the year’s dry winter has many homeowners switching to grass-free yards, those low-water alternatives don’t always hit the spot when what you want is soft green turf. If you love your grass lawn, but don’t love the constant watering, then you need to check out these five grass lawn varieties. Suitable for every area of the country, these grasses are specially designed to stay thick and green with little to no watering, mowing, or fertilizing. Take advantage of warming temperatures and spring rain to overseed your lawn with these varieties now. By summertime, you’ll be enjoying green grass without a care. 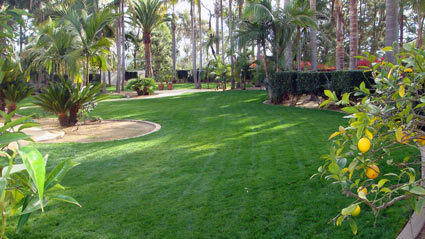 Developed from a mix of native fine fescue grasses, Eco-Lawn is the most versatile low-water turf lawn variety. 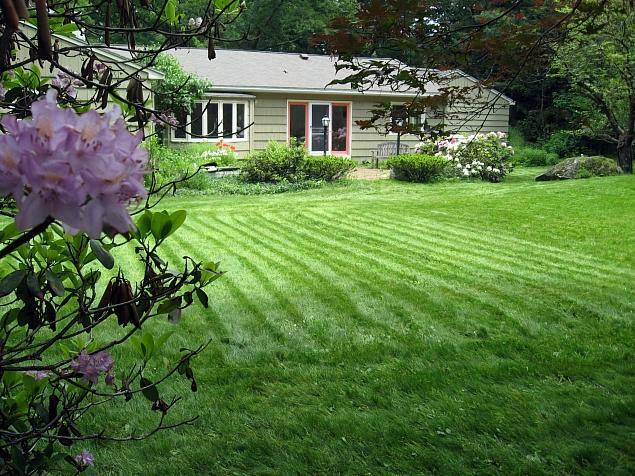 Once established, you can almost forget about it: it doesn’t require regular mowing to stay green, and only needs to be watered during extremely dry periods, if at all. Eco-Lawn grows well in bright sun, the dappled shade cast by trees, and the deep shade cast by fences and neighboring buildings. 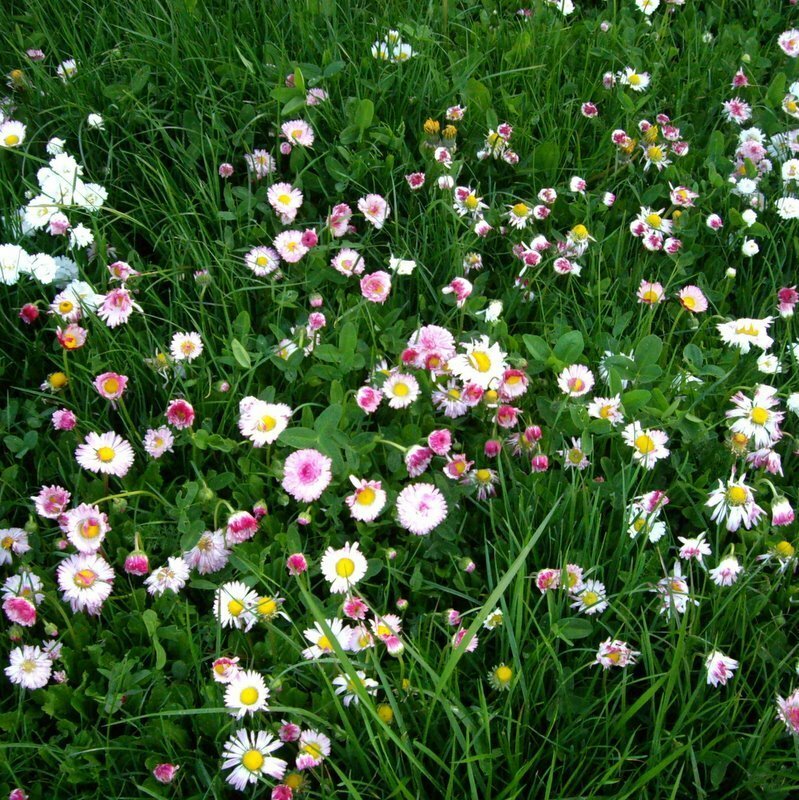 Underplant it with spring bulbs and wildflower seeds for a windblown meadow look, or mow it regularly for a traditional-looking lawn. Once established, Pearl’s Premium grass seed develops roots that extend a foot or more into the ground, making the turf extremely drought-tolerant. Water this lawn once a month or less, and it will still grow a thick, verdant green. 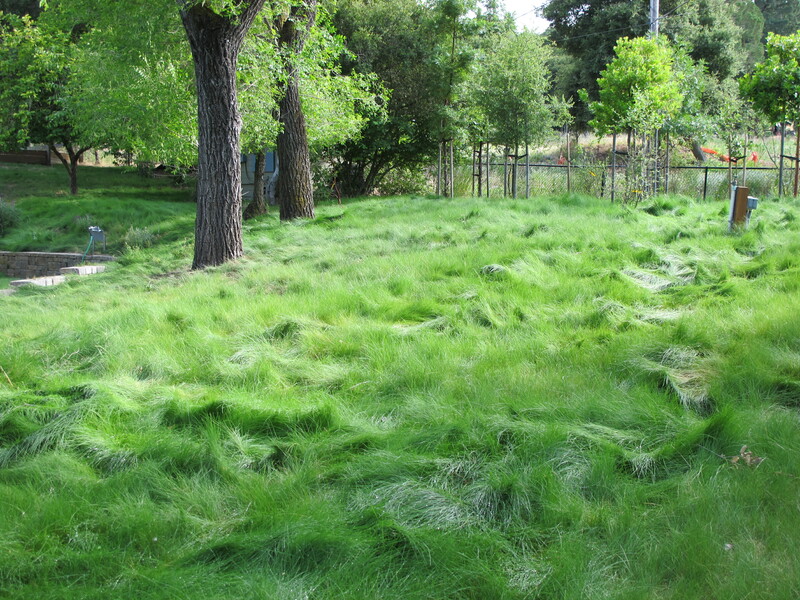 This hardy grass also grows slowly, so you only need to mow every month or so. The secret to Fleur de Lawn‘s extraordinary hardiness is its mix of grass and low-growing clover. Clover fixes nitrogen from the air into the soil, which fertilizes the grass and keeps it green year-round; the clover also acts as a “weed you want”, crowding out undesirable plants such as dandelions and crabgrass. In addition to these practical perks, clover also adds a sprinkling of color to your lawn in the spring and summer, making this mix perfect for rustic or country-style homes. Developed by researchers at the University of California, UC Verde Buffalo Grass was designed to withstand hot, dry weather with 75% less watering than traditional turf grasses. 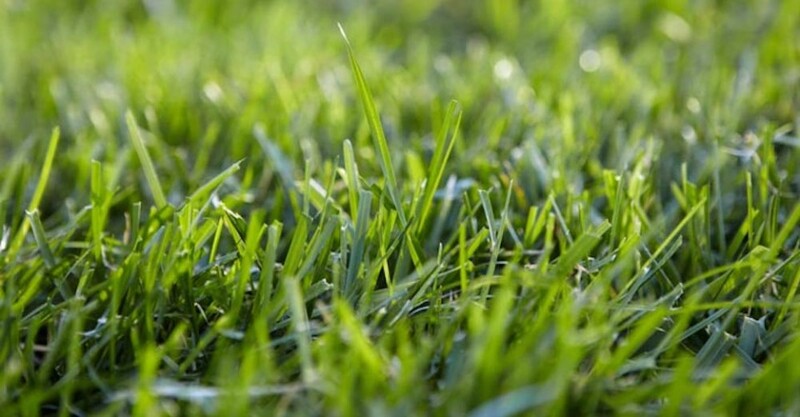 UC Verde can be allowed to grow for a tufty, flowing lawn, or mowed every few weeks for a hardy turf lawn perfect for running, playing, and foot traffic. UC Verde does best in temperate zones that with winters that stay above 20 degrees and summers that stay below 90 degrees, and will grow best in full-sun areas. Enviro-Turf is a hardy fescue mix that looks just like a traditional turf lawn, but only needs to be mown and watered every couple of weeks. This type of low-water lawn will work best in dry sites with good drainage, and has the added bonus of being naturally richer in color than most turf grass lawns. Does your lawn need constant watering to stay green? What do you think of these low-water grass lawns? Content Marketing Specialist, Porch.com. Jacqui Adams is a writer and editor living in Seattle. She shares a cozy midcentury fixer-upper with her fiancé, her cat, and approximately eight bazillion books. Follow Jacqui on Twitter at @JacquiLeeLu.